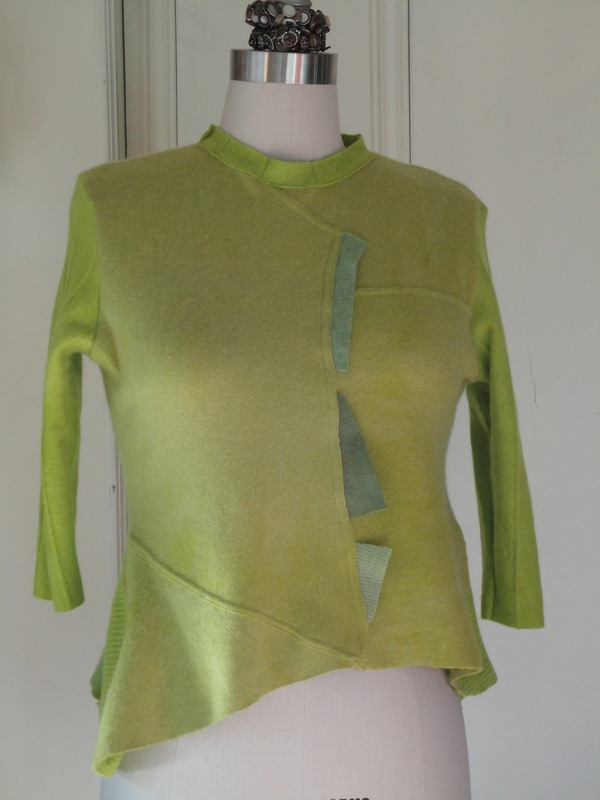 I overdyed this three cashmere sweater for Kim Tyler. Made one for myself, too, but I sold that one. I'm liking the little tags along the center front.